I originally made this to pair with a feta/walnut/apple stuffed pork tenderloin. 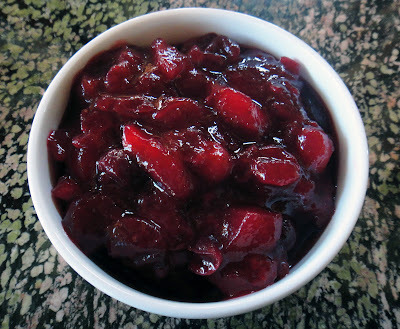 Now, I make this Chunky Cranberry Apple Sauce four to five times per year (or until my stash of frozen cranberries runs out). It is just the right amount of sweet and tart with the slightest hint of spice from the cinnamon and nutmeg. Cranberries: rinse, drain, remove bruised fruit and stems. Apples: peel, core and dice. Bring water and sugar to a boil, add cranberries, cinnamon, and nutmeg. Sometimes I add a little agave or maple syrup and sometimes I don't bother with the extra calories. Your choice. 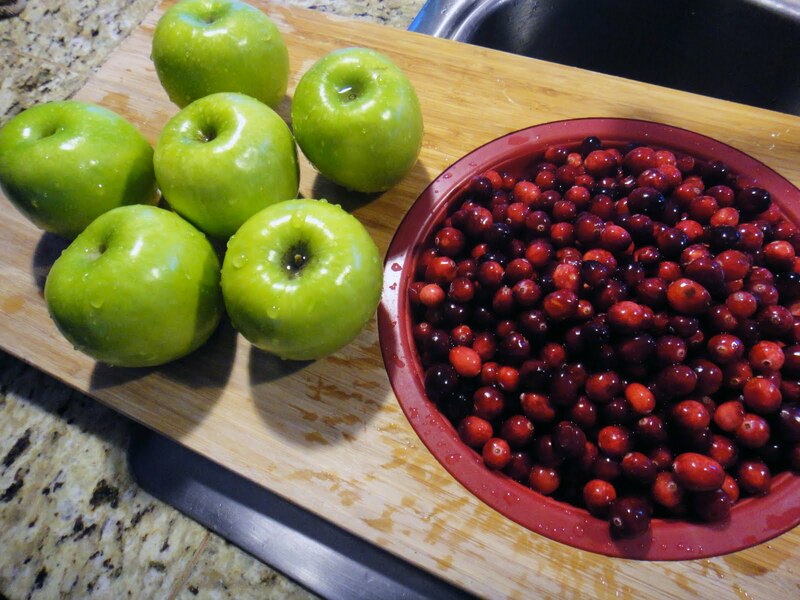 Cook cranberries for 10 minutes. 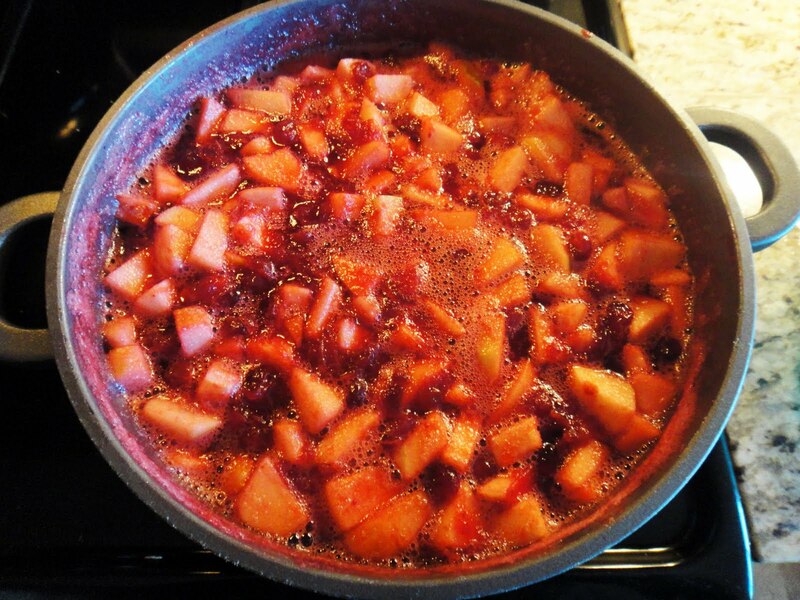 Add diced apples to the cranberry mixture. Cover and cook for another 25 minutes. 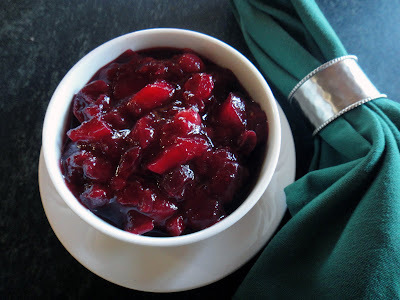 You can mash the Cranberry Apple Sauce with a potato masher or place in a blender for a smooth texture closer to traditional apple sauce. I choose to leave it as is- nice and chunky! If you haven't paired apples with your cranberries before now, the apples tone down some of the tartness of the cranberries rather than adding more sugar. I recently paired this with cranberry & jalapeno meatballs and the bowl was nearly licked clean.